The next time you go to an Realtor’s open house and are asked to show your photo I.D., or if a Realtor refuses to meet you for the first time at a property you’re interested in, insisting that you meet at a real estate office instead, don’t take it personally. She or he is just following safety precautions given either by an office manager, the National Association of Realtors or the local law enforcement agency to guard against any number of open invitations for the possibility of theft, robbery, assault, even abduction or murder. Just last week my William Raveis Real Estate office in Yorktown invited Detective Sean Lewis of our police department to offer safety tips specifically targeted to situations we find ourselves in regularly. He suggested how we might best assure not only our own safety but also how to best advise our sellers about protecting their property and possessions. Actually, most of the precautions we realtors take could be used by any homeowner who wants to safeguard themselves and their property from the crimes of those who would do us harm. “The single most important point I can make is to know who you’re dealing with,” Detective Lewis said from the start. “Remember the principle of ‘stranger danger.’ Do not meet a new prospect for the first time at a property. Insist that they come into your office and ask for their I.D. Also, always let someone else know where you are at all times. Always have your cell with you. And, trust your instincts,” Lewis said. Lewis’ safety tips for Realtors included the use of certain code words agents can communicate by phone or text to their office administrator if they feel they are in danger. (At my agency, we had already been educated to ours.) Other suggestions included such basics as showing properties before dark, always having the client go first into a home, as well as into and out of a basement. Women are advised not to include too much personal information about themselves online, not to glamorize themselves too much or wear expensive jewelry when showing homes. 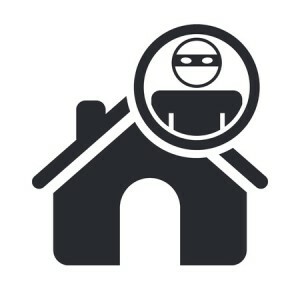 For homeowners, the time for vigilance is when a property is on the market and their homes are being shown and especially when open houses are scheduled. That is the time when anything of value must be hidden or locked away securely. Realtors will do everything they can to safeguard a homeowner’s property and will advise the homeowner of special precautions to take to help them in that endeavor. Besides the obvious, such as jewelry, sellers should be careful not to leave personal information like mail or bills out in the open where anyone can see it. Also, any other expensive, easy to pocket electronics like iPods should be put away before showings. Special care must be taken when visitors arrive in twos or threes, where one may try to distract the agent while the other rummages through the homeowner’s possessions. This is the reason that there are frequently more than one attendant at open houses. “We all have life experience to be our guides,” Detective Lewis said. “That instinct has to serve us each day when we are in a high-risk job.” Very honestly, when I was attracted to the field of real estate, I didn’t consider it high-risk, but then, I was educated to be aware. Interestingly enough, a Raveis real estate agent named Bernice Gottlieb from the company’s Irvington office has published a thriller about violent crimes Realtors are experiencing across the country. Called Havoc-on-Hudson, the book serves as a cautionary tale that Gottleib hopes will raise awareness among her peers to take necessary precautions and will have an impact on house buyers and sellers as well. To purchase Havoc-on-Hudson by Bernice Gottleib, go online either to Amazon.com or Barnesandnoble.com.